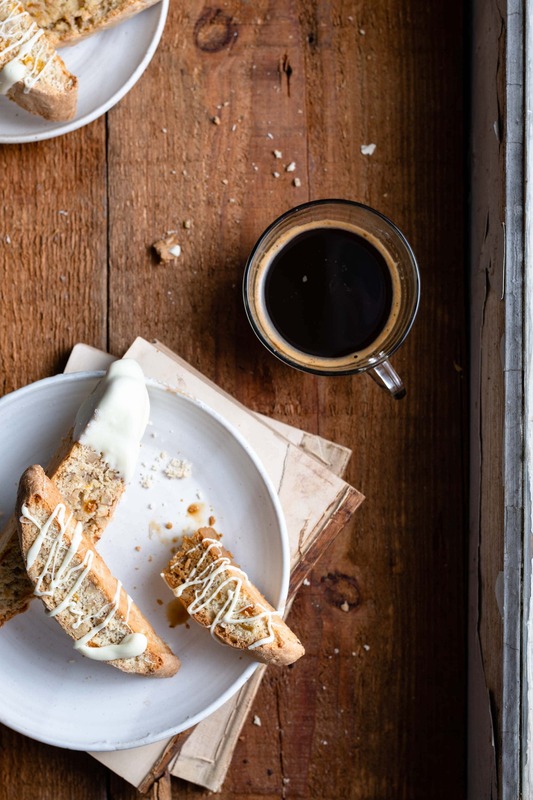 Apricot Walnut Biscotti dipped in your morning coffee is a treat you shouldn’t pass up. Especially when your Biscotti is drizzled in White Chocolate. Time to jazz up that cup of joe with a little bit of crunch! A twice baked Italian biscuit that is dry, crunchy, oblong shaped, and filled with nuts or fruit. 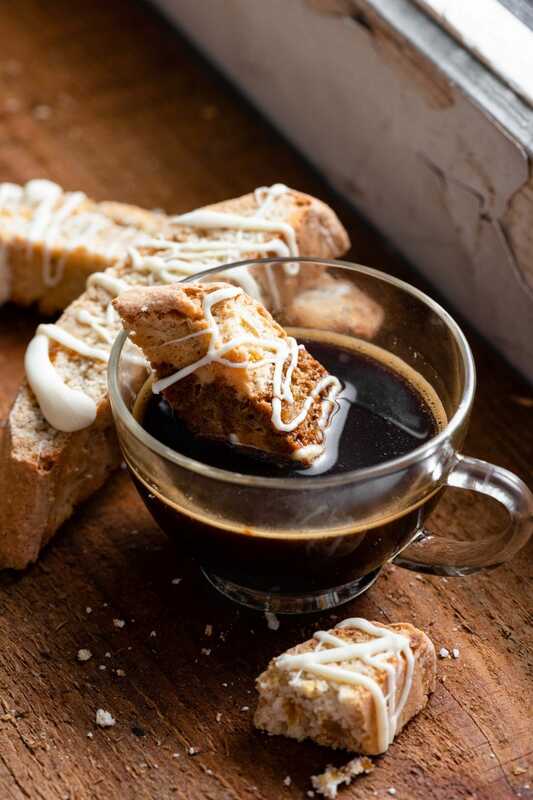 Since they are very hard, biscotti is usually served with a drink. Dipping the crunchy cookie into teas, coffees, and juices softens the texture, making them more enjoyable to chew. 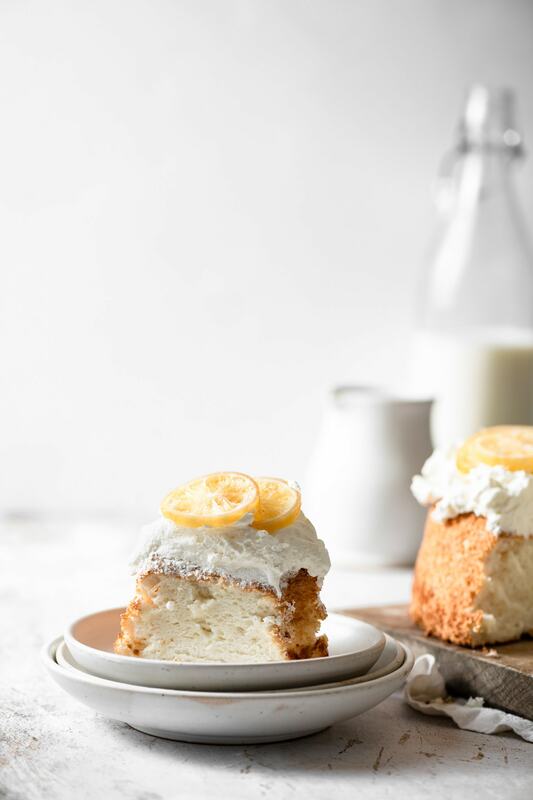 Use room temperature butter to beat with your sugar. Stick with dried fruit for your batter. I’ve tried using fresh fruit and it causes the dough to be way to moist, making it hard to form and results in large cracks during baking. Dust your hands with flour to remove dough from bowl. It should be sticky but not overly wet. Pat dough halves into even sized 10-12 inch logs, using flour dusted hands. 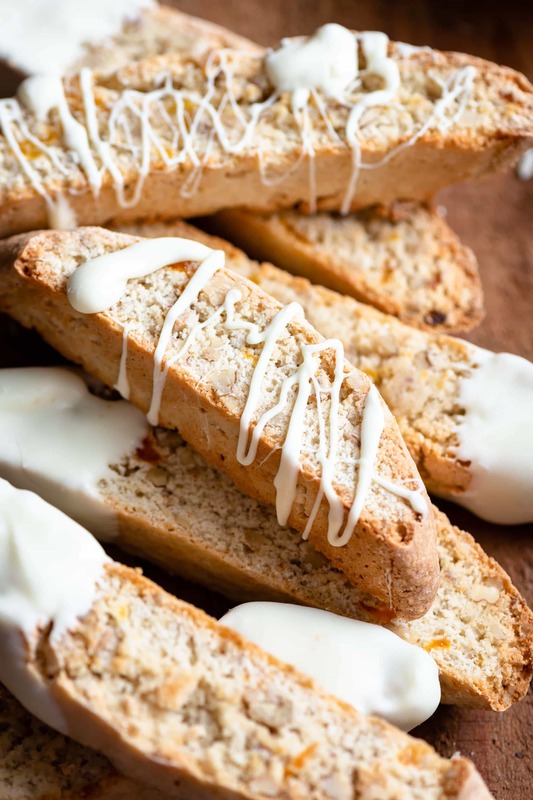 Use a serrated knife to cut your half baked biscotti into slices. Hold the loaf in one hand to support the edges while slicing. The biscotti will still be soft in the middle and easy to tear. Melt your white chocolate in a heat proof glass bowl over a sauce pan of boiling water. Or place white chocolate in a bowl and microwave on high in ten second intervals, stirring in between until melted. Drizzle your white chocolate or simply dip the ends of each cookie. Store your baked biscotti in an air tight container. It does not need to be kept in the fridge and should stay fresh for up to two weeks. The nuts and dried fruit in this recipe can be substituted. I love the pairing of white chocolate and Apricot, but dried cranberry and dark chocolate is just as tasty!! *Check out this Recipe for Shortbread Cookies using dried Apricots! 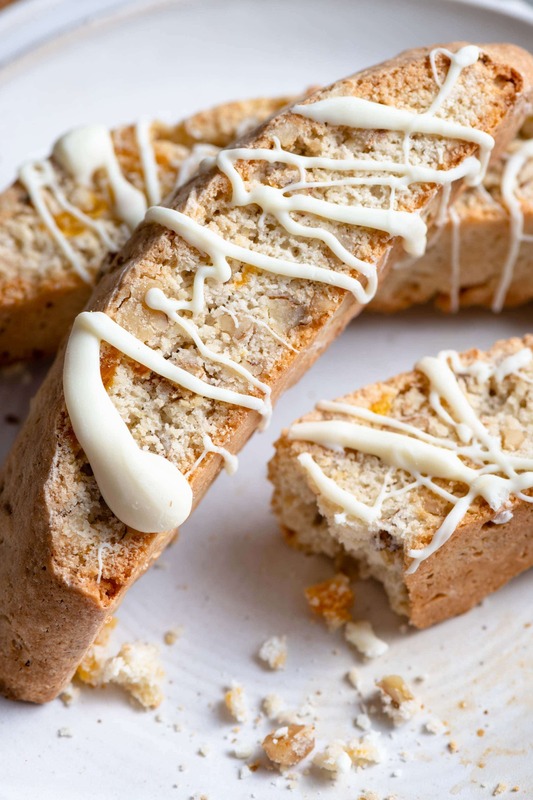 Homemade Biscotti filled with dry apricots and walnuts, then dipped or drizzled with melted white chocolate. 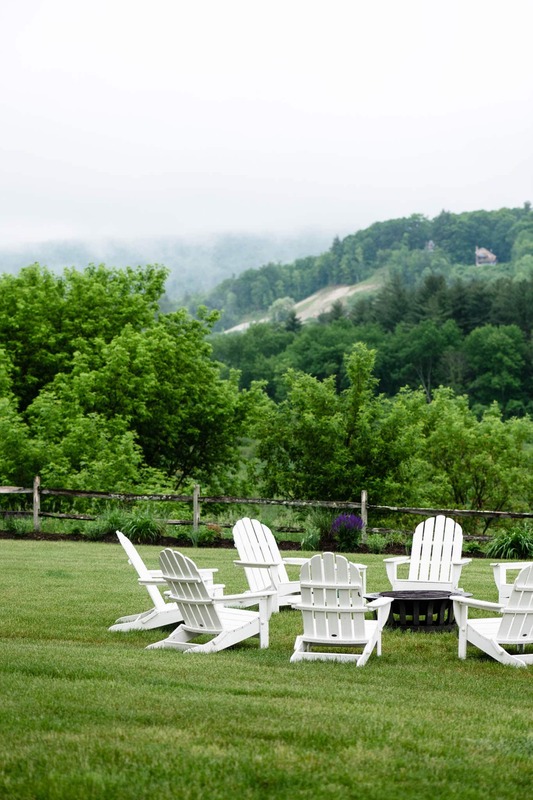 Perfect for dipping in your morning coffee! Heat oven to 350°F (190 C) and line a cookie sheet with parchment paper. In bowl of stand mixer, beat butter and sugar until fluffy using whisk attachment. Add in eggs, 1 at a time continuing to mix on medium high. 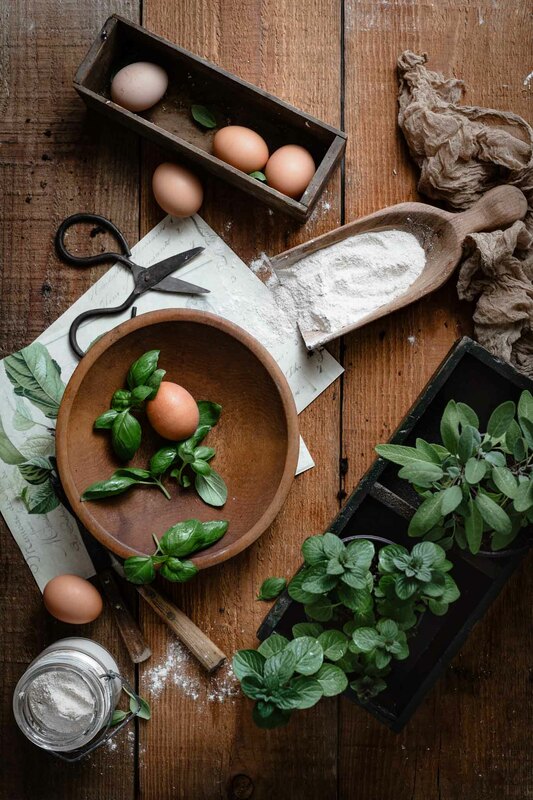 Take a separate medium bowl and whisk together flour, baking powder and salt. Spoon flour mixture into butter mixture and whip together until combines. Remove bowl from stand mixer. Fold in pecans and walnuts with a spatula. Dump batter onto lightly floured surface and form into a ball with your hands. Take a bench scraper or sharp knife and cut in half. Place each half onto baking sheet and flatten out into two 12 inch logs. Take a serrated bread sharp knife and slice each log diagonally into ½ inch pieces. Lay the slices on their sides back onto the baking sheet. Bake for 15 minutes and then flip over to bake for a remaining 15 minutes, until golden brown on edges. Cookies can be slightly soft in the center, but will harden as they cool. Let Biscotti slices cool on rack completely before adding chocolate. Melt white chocolate and drizzle over each cookie. Place tray in the fridge for 10 minutes to help white chocolate set. 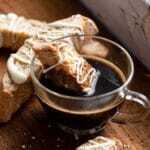 Dip Biscotti in warm coffee or hot chocolate!